SOUTHAMPTON: Joe Root believes England’s series victory over world number one-ranked India has been his best campaign yet as a Test captain. 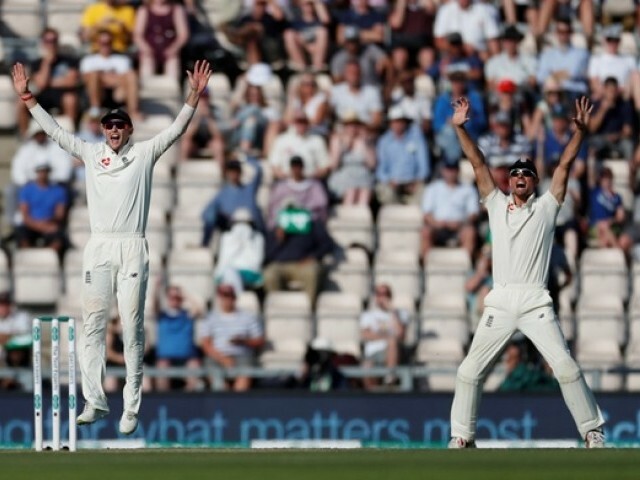 England competed a 60-run win over India with more than a day to spare at Southampton on Sunday to take an unassailable 3-1 lead in the five-match series ahead of next week’s finale at The Oval. India, set 245 to win in an absorbing contest, were dismissed for 184, with off-spinner Moeen Ali completing an impressive Test return to by taking four for 71, a haul that left him with nine wickets in the match overall. Root began his reign as England skipper last year with home series wins over South Africa and the West Indies. But the Yorkshireman then saw England suffer away defeats in Australia and New Zealand before escaping with a drawn series at home to Pakistan earlier this season. This match was in the balance while India captain Virat Kohli (58) and Ajinkya Rahane (51) were adding 101 for the fourth wicket. But Ali, exploiting a wearing pitch, eventually dismissed both batsmen to swing the game decisively England’s way. England find themselves 3-1 up with one to play despite a succession of batting collapses that continued at Southampton, where they slumped to 86 for six in their first innings.